– Claire and Adawehi’s herbal workshop. They have a lovely friendship even though they don’t speak the same language. A big heart and open mind is all one needs to connect. Makes me sad knowing what is to come. – Typical husband. Has to ask the wifey where things are. The books are full of passages of Jamie and Claire just talking. We need more of those. Cait and Sam can deliver them so well. – Sam plays uxorious so well with just a look or a little touch. – I’m surprised that they’re bringing up Jamie’s “sight” here since the show usually shies away from the supernatural, religious or spiritual when they can. – Wig commentary. 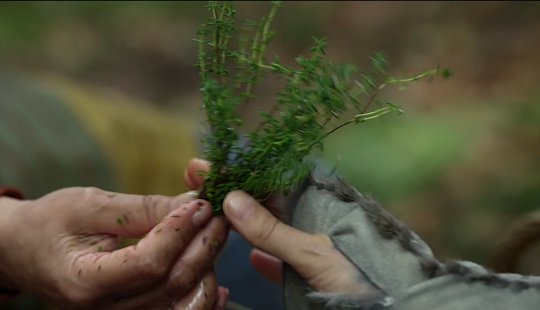 Jamie’s hair doesn’t bother me this episode, but they need to do something with Claire’s. Her hair is like a shower cap at times as my friend @kanbukai aptly puts it. 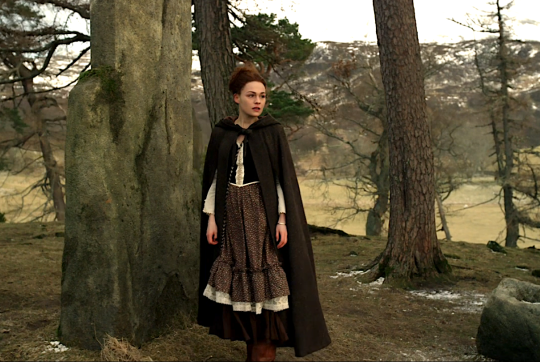 – Roger tracking Bree in Inverness. Miss Baird has earrings that match her cardigan. – Bespectacled Jamie and Ian handing out pamphlets in Woolam’s Creek. Jamie said “you’re but one lad” to Ian’s “a daughter or two” followed up by the ridiculous silversmith’s wife. – Look at Claire and baby Claira. Cute as buttons! Frau Mueller is willing to share grand child. I like her. Sigh. – Back to Woolam’s Creek. Jamie is a good salesman but not enough. See this professionally done pamphlet with graphics. A printer after all, with standards. 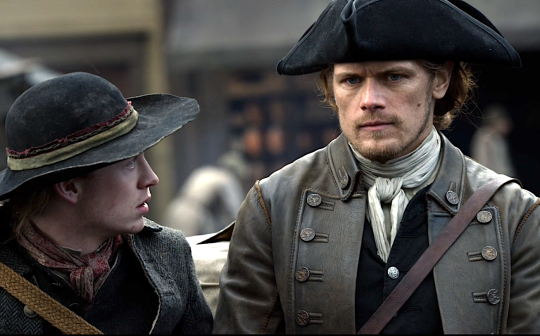 – Prisoner camaraderie gives Jamie good intel. The dark side to Tryon’s offer is beginning to come to the fore. – Herr Mueller. I really disliked this story in the book. But I understand why they chose to tell it. – Farm Claire and animals. 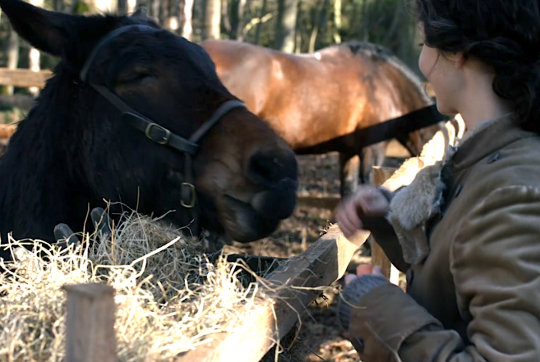 Clarence so happy after getting his carrot. Claire knows how to knit now. Would it kill them to show us Jamie taught her? Rollo doesn’t do much really but he’s a good room mate. 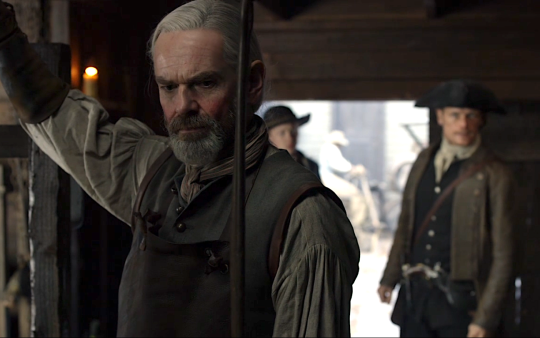 – I just knew Young Ian would be the one to find Murtagh. – Silversmith’s wife again. We know they will play that Claire’s not a good cook. But Jamie isn’t about to give her up because of that! I wonder why they show this woman twice. Are they going to settle on the Ridge? Hope not. – Jamie livid that they’ve been ripped off by the blacksmith. – The reunion. Perfectly portrayed. 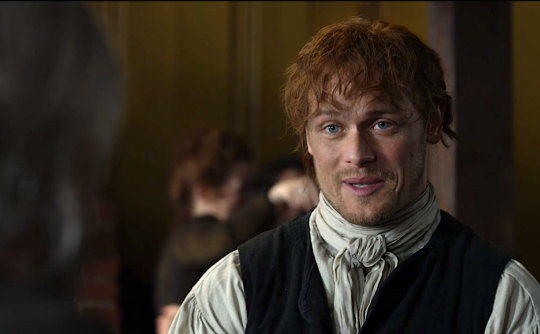 Thank heavens they allow the camera to stay on Jamie’s face this season like a normal show would on its lead. I’ll never forget the choppy editing and camera angles in past seasons when it came to Jamie. – Pastor Gottfried repeating Claire’s line “he does not see it that way”. The cause of so much trouble in this world. 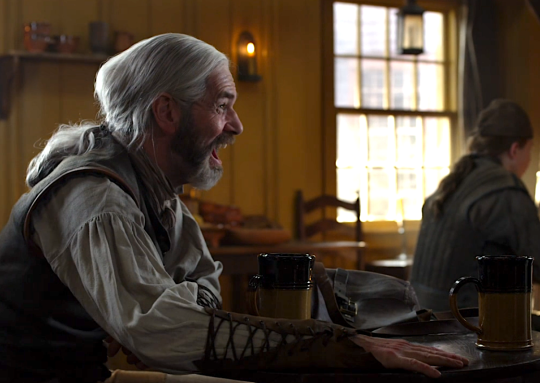 – It feels so uplifting to learn that Murtagh can start a whole new career at his age. And of course he should be the one to forge Claire’s new ring. 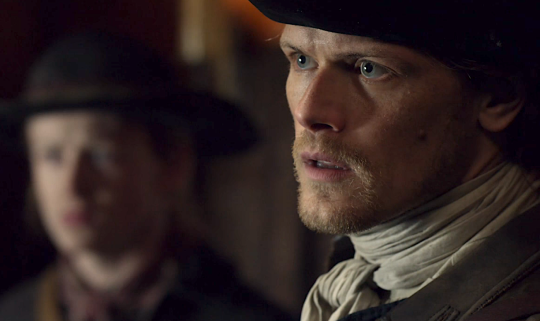 Jamie still can’t believe Claire has come back to him. And he’s so proud of Bree going to university. – BTW Murtagh looks younger now that he did at Ardsmuir. – I can’t imagine being alone in the wilderness for days. 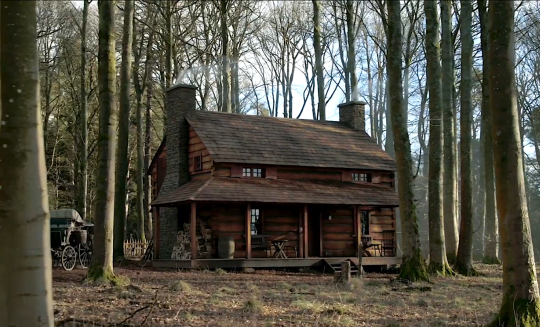 But we know Claire feels protected in the cabin Jamie built for her and has a rifle. BTW, jerky features quite heavily this season. – I’m sad over Adawehi. She dies in the book too. I blame DG. Why can’t Claire have a friend that lasts? 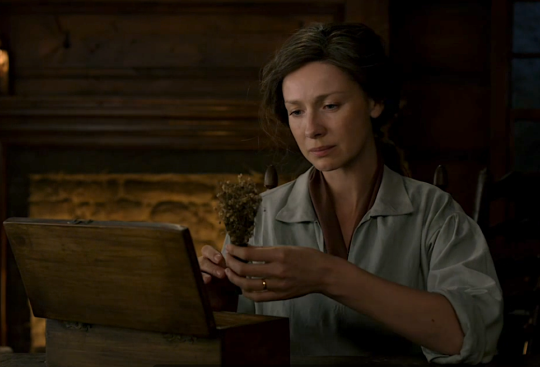 – The serene sadness of Claire’s tribute to Adawehi and the burning of her remains in a box. – Even badass Claire can only take so much. Her loneliness and distress are set up well. 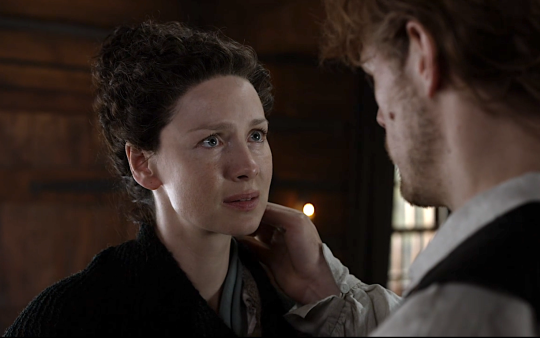 I was so relieved to hear Jamie’s “Sassenach” though the door. 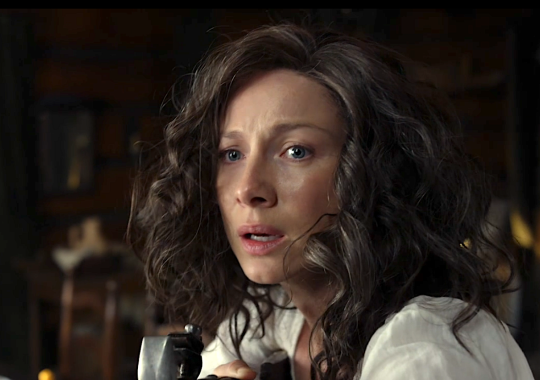 – Jamie instantly realises something is wrong with Claire. “I’m so glad you’re home”. Me too, me too! 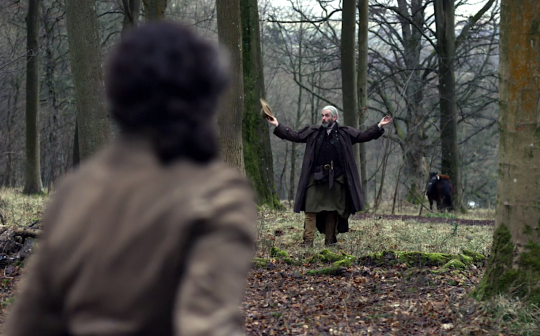 – Murtagh does know how to make an entrance! 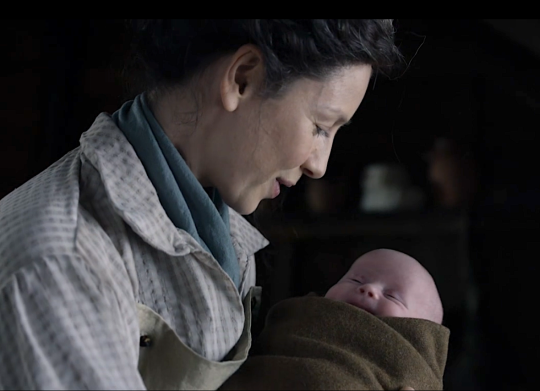 Sweet reunion between him and Claire. – Bree’s clothes are kind of frilly. Perhaps that’s all she could muster not knowing the 18th century herself. 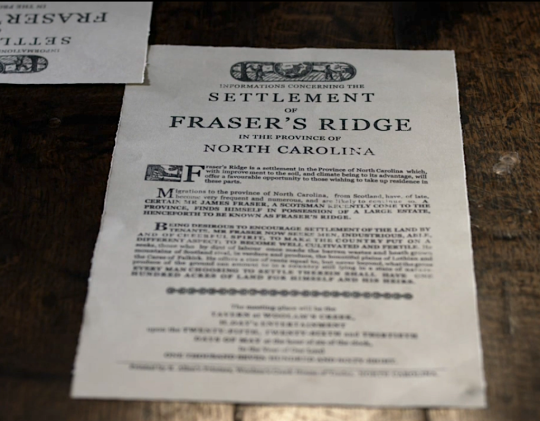 – Roger reading Bree’s letter. Funny she would say “don’t come after me”. So she knew he would. Rik and Sophie have done a good job these two episodes, separately. This is a good episode on my first watch, and an even better one on my second watch! For some reason the emotions only sank in when I rewatched. Great performances by all which tells me how important writing is. I’m happy for the actors that they got solid materials to work with this episode and there’s not one out of character movement that I can recall. 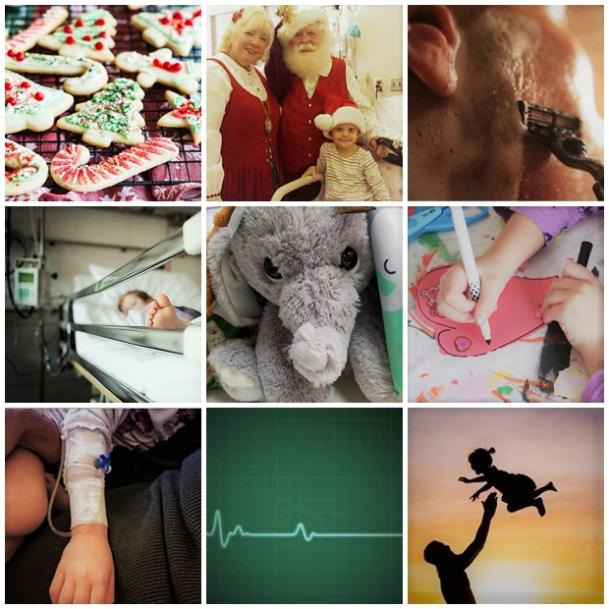 However, where are the quiet moments and domestic bliss? A mere 5 minutes of Jamie and Claire together in every episode with them spending the rest apart just aren’t going to cut it. It will be a gigantic shame if this promo line turns out to be false advertising. Side note. I guess we may not get to the big house this season. Putting it in next season’s budget and attributing the growing family as the reason for building it? balfeheughlywed: Happy three year anniversary to this moment and this moment only. Happy three year anniversary to this moment and this moment only. 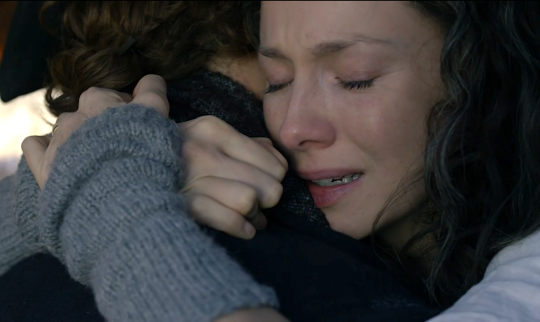 sassenach4life: Up you get, lass. Why don’t you pick on somebody your own size?